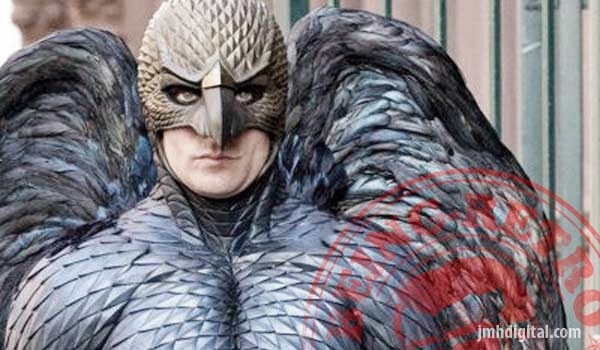 Birdman or (The Unexpected Virtue of Ignorance) is a 2014 American comedy-drama co-written, produced, and directed by Alejandro González Iñárritu. The film stars Michael Keaton, Emma Stone, Edward Norton, Andrea Riseborough, Zach Galifianakis, Naomi Watts, Amy Ryan, Merritt Wever, and Benjamin Kanes. Washed-up actor Riggan Thomson (Michael Keaton), who became famous for playing an iconic superhero in the movies, decides to stage a comeback in a Broadway play. Pressures mount leading up to the play's opening night as Riggan battles his ego and tries to win back his family, at the same time re-establishing his career and finding himself in the process. Micheal Keaton might get the shift he needs to soar himself back into the public eye, not that he has ever disappear from our eyes. 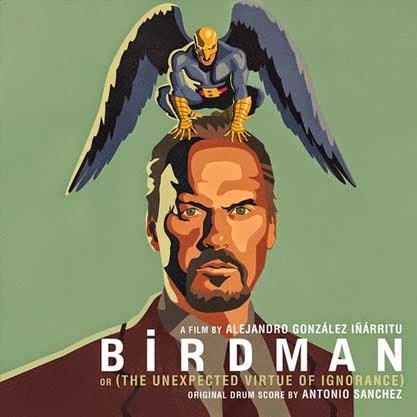 I get the joy of listening to the score from the film and the very talented composer "Antonio Sanchez" who brings a great jazz mood and worthy drum power to each turn. I am hoping for great things from this film... great soundtrack from Milan Records, CHECK! The musical choices for this film are unexpected a brilliant so I'm sure the whole thing will be great.